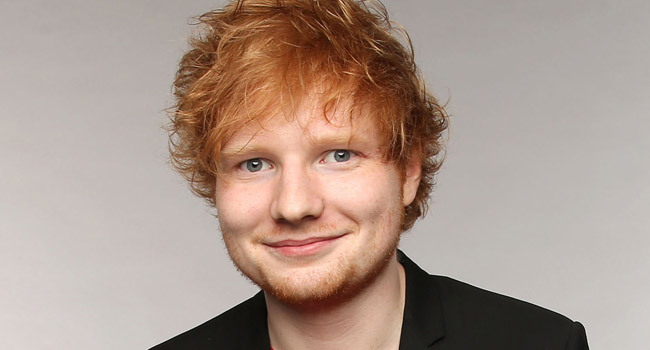 At 27, Ed Sheeran has already sold over 26 million albums in addition to winning multitudes of awards and earning respect from critics. A worldwide phenom, perhaps the time is right for an in-depth exploration into his music making process, hence the documentary Songwriter. We said perhaps it’s time for a documentary; others might say this is not that documentary directed by his cousin, Murray Cummings. Screened last month at the Tribeca Film Festival, Songwriter does include exclusive footage of Sheeran deep in thought and at his most creative moments as he begins work on his third album, Divide. But that footage doesn’t come with much else. We see Sheeran at work but there’s barely any discussion on what’s happening, no real discussion on his creative process. You feel like you’re just standing there, trying to be real quiet while Sheeran and his collaborators are recording and it’s up to the audience to make sense of what exactly is happening. Yes, we have the music and we are in the studio while the music is being created (pretty rare as these sessions usually are private, not for the public viewing), and any die-hard Ed Sheeran fan, which there is no lack of, will feel fortunate enough to check out footage. For the rest of us, we just want a little more meat on what is essentially just a homemade film. And while Divide was filmed over 18 months in which Sheeran was also making other exciting musical moves, none of that is here nor is it really mentioned. Most of us will never be fortunate enough to see an artist in their prime actually in the studio working on their next great album. As someone who has as a journalist, it is exciting for the brief time you’re allowed in the recording studio. To watch what seems to feel like an endless array of clips of really the same thing, Songwriter just doesn’t tell us anything about a gifted songwriter. A more thorough documentary on Ed Sheeran is what he and his fans deserve to see next time.